South African Customs « What Happened to the Portcullis? SARS Customs officers at OR Tambo International Airport (ORTIA) last week intercepted over 41kg of rhino horns – with a total value of over R4.5 million – transiting through the airport. This is the biggest ever seizure of rhino horn by the SARS Customs team at OR Tambo International, Johannesburg. As a result of profiling two foreign nationals travelling from Maputo to Vietnam via Johannesburg, their baggage was intercepted during a stop-over at ORTIA. A Customs detector dog “Mimmo” reacted positively to two bags. The tags found on the bags also did not correspond to the tags presented to Customs officials during the initial questioning of the passengers. This is a practice commonly found with narcotics smuggling syndicates. Amidst diverse expectations and feelings of excitement, anxiety and anticipation, the South African Revenue Service (SARS) migrated to its new integrated Customs and Border Management solution over the weekend of 17 August 2013. A new modern electronic solution Interfront can now rightfully claim some success even if it is an unseen component within a multi-layered, multi-technology solution of which South African Customs is now the proud owner. After 9 months of rigorous parallel testing between old and new, and a period of dedicated external testing with Service Providers of the customs business community, the decision to implement was formally agreed with trade a fortnight ago. Interfront Customs and Border Solution (iCBS) replaces several key legacy systems, one of which has served South Africa for more than 30 years. The vast business and technical competence and skills which faithfully maintained and supported the old systems are to some extent in the wilderness now, but will hopefully find place within the new technology environment. While technology nowadays is particularly agile, and human physical placement at the coal face is under threat, organisations like SARS will always require customs technical business and policy competence to maintain the cutting edge. There still remains an enormous amount of work to do regarding the alignment of the new clearance system with the specific guidelines, standards and principles of the WCO. With regional integration becoming more prominent on the sub-Saharan African agenda, the matter of ‘facilitation’ and ‘non-tariff barriers’ will inevitably become more prominent discussion points. 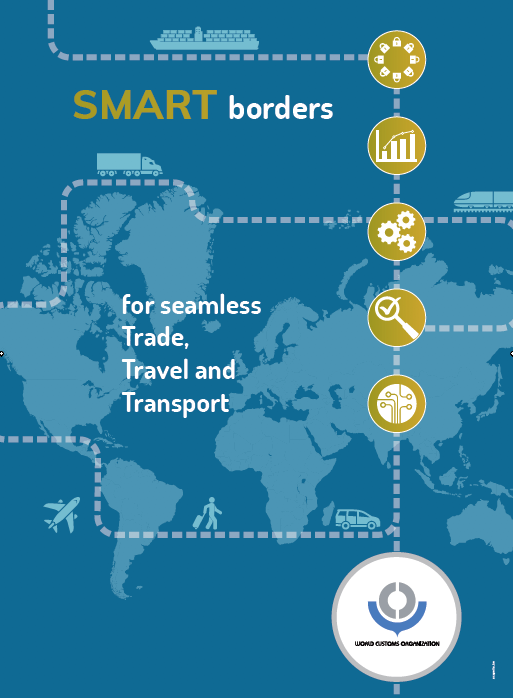 Other salient features of the SAFE Framework of Standards such as Authorised Economic Operators and IT connectivity have already emerged as key developmental goals of a number of regional customs and border authorities. The timely introduction of Interfront places SARS in a pivotal position to influence and enable the required electronic linkages, crucial for the establishment of bi-lateral and multilateral trade agreements, transport corridors, and, support for ‘seamless’ multi-modal movement of cargo from port of discharged to its place of manifestation with limited intervention, based on the principles of risk management. Enjoy the Interfront video feature. Notwithstanding on-going discontent amongst industry operators in regard to proposed legislative measures mandating customs clearance at first port of entry, the South African government (GCIS) reports that work has already commenced on a massive logistics corridor stretching between Durban and the central provinces of the Free State and Gauteng. 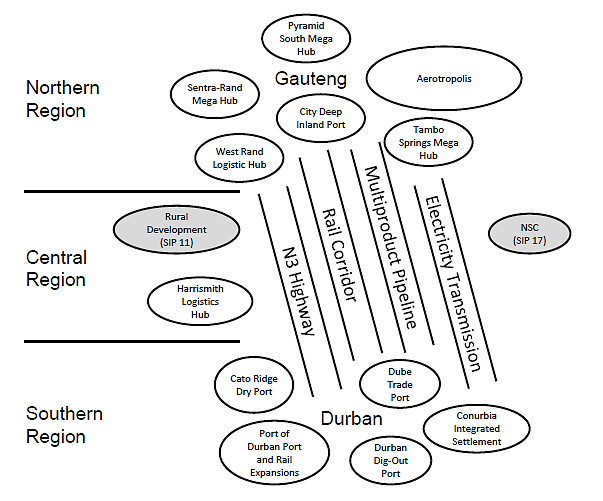 Most of the projects that form part of the second Strategic Infrastructure Project (SIP 2), also known as the Durban-Free State-Johannesburg Logistics and Industrial Corridor, are still in the concept or pre-feasibility stage, but construction has already started on several projects. R14,9 billion procurement of rolling stock for the rail line which will service the corridor. Work has also started on the R250 million Harrismith logistics hub development to set up a fuel distribution depot, as well as on phase one of the new multi-product pipeline which will run between Johannesburg and Durban and transport petrol, diesel, jet fuel and gas. Interested in more details regarding South Africa’s infrastructure development plan? Click here! Following up on last year’s meeting (click here!) of the minds, convened by the JCCI, a recent meeting in Johannesburg placed fresh emphasis on the dilemma which impending changes contemplated in Customs Draft Control Bill will have for the import and logistics industry in particular. The following report carried by Engineering News highlights trade’s concerns which are by no means light weight and should be addressed with some consideration before the Bills come into effect. 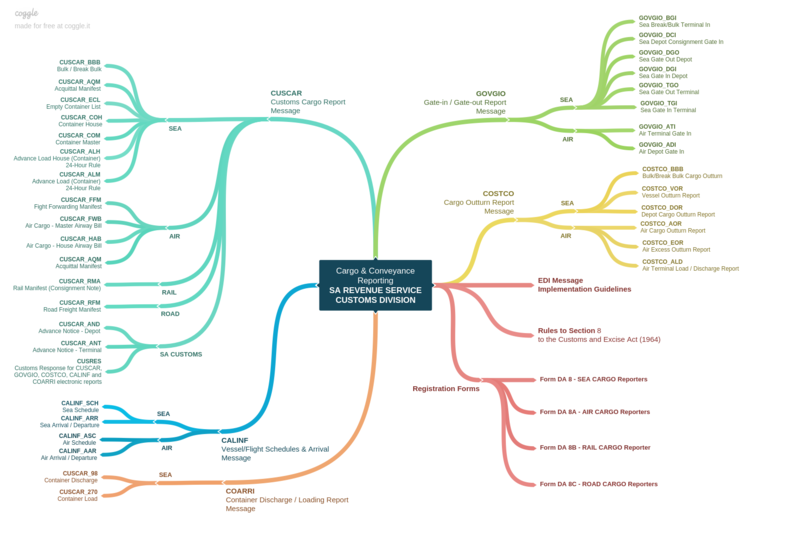 Gauging from the content below, there is a clear disconnect between business and policy makers. 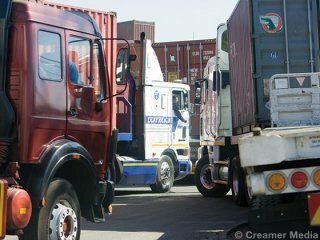 The closure of Johannesburg’s inland port seemed to be a “done deal” as Parliament deliberated the recently tabled Customs Control Bill that would leave the City Deep container depot invalid, Chamber of Commerce and Industry Johannesburg (JCCI) former president Patrick Corbin said on Friday. The promulgation of the South African Revenue Services’ (Sars’) newly drafted Customs Control Bill, which, in conjunction with the Customs Duty Bill, would replace the current legislation governing customs operations, would have a far-reaching impact on the cost and efficiencies of doing business in South Africa and other fellow Southern African Customs Union (Sacu) countries, he added. The Bill, which was the product of a three-year development process within the National Economic Development and Labour Council, declared that all imported goods be cleared and released at first port of entry. This was part of efforts by customs officials and government to root out any diversion and smuggling of goods, ensure greater control of goods moving across borders and eliminate risks to national security. Speaking at the City Deep Forum, held at the JCCI’s offices in Johannesburg, Corbin noted, however, that City Deep had operated as an inland port for the past 35 years, easing the load on the country’s coastal ports, which were already strained to capacity. Despite customs officials assuring the chamber that the operations and facilities in City Deep/Kaserne would retain its licence as a container depot, he believed customs had failed to recognise the critical role City Deep had played in lowering the cost of business, easing the burden on South Africa’s ports and ensuring ease of movement of goods to neighbouring countries. As customs moved full responsibility of container clearances to the ports, port congestion, inefficiencies, shipping delays and costs would rise, and jobs would be lost and import rail volumes decreased, he noted. Economist Mike Schussler added that the closure of the City Deep inland port operations would add costs, increase unreliability and induce “hassles”, as the Durban port did not have the capacity to handle the extra volumes and its productivity and efficiencies were “questionable” compared with other ports. “The volume of containers going to overstay or being stopped for examination in City Deep [will] need to be handled by [the coastal] ports. If they can’t cope with the volume at the moment, how are they going to handle increased volumes,” Iprop director Dennis Trotter questioned. He noted that only the containers cleared 72 hours prior to arrival would be allocated to rail transport. Those not cleared three days before arrival would be pushed onto road transport to prevent blocking and delaying rail operations. This, Schussler said, would also contribute – along with port tariffs and the cost of delays – to higher costs, as road transport was more expensive than rail. He pointed out that South Africa was deemed third-highest globally in terms of transport pricing. It would also result in less rail capacity returning for export from Johannesburg, further leading to increased volumes moving by road from City Deep to Durban. Sacu countries, such as Botswana, would also be burdened with higher costs as they relied on City Deep as an inland port. Trotter noted that the region would experience loss of revenue and resultant job losses. Over 50% of South Africa’s economy was located closer to Gauteng than the coastal ports. Johannesburg alone accounted for 34% of the economy, said Schussler, questioning the viability of removing the option of City Deep as a dry port. However, unfazed by the impending regulations, Transnet continued to inject over R1-billion into expansion and development opportunities at City Deep/Kaserne. 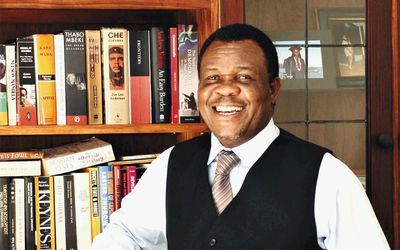 Corbin commented that Transnet had accepted the assurances from customs that “nothing would change and the boxes would still be able to move seamlessly once cleared.” The City of Johannesburg’s manager of transport planning Daisy Dwango said the State-owned freight group was ramping up to meet forecast demand of the City Deep/Kaserne depot.